There is a new photo sharing app on the block today, but before you turn your front facing camera on and start snapping pictures of your pretty mug, take a second and look at the quality of the above photos provided. 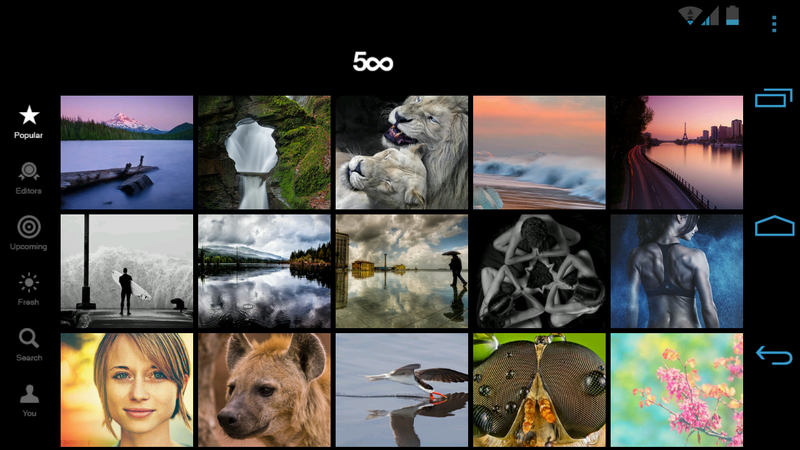 With 500px, professional photographers can gather the photos they have already placed on the web and create a somewhat online portfolio if you will. You can search through countless photos and even connect with friends and family to share your own works of art. Again, do not take a photo of your pet lizard with your DROID RAZR and post it, unless you have some seriously excellent lighting accompanying it. Thursday Poll: Thin Phone or Longer Battery Life?